Last month I was asked if I’d like to create an illustration for the cover of Bulletin – the monthly magazine for the Royal College of Speech and Language Therapists (RCSLT). The brief included the magic words ‘map’ and ‘board game’ so I immediately jumped at the chance. 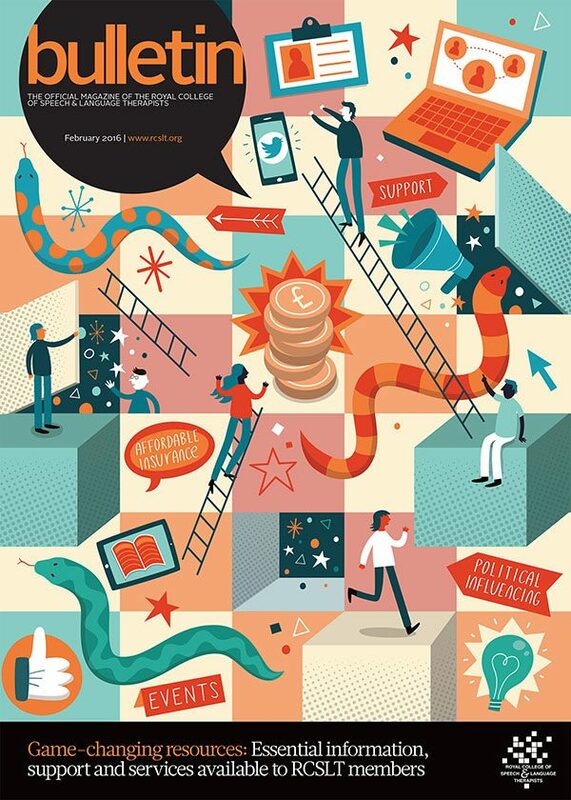 The illustration was to be used to show the benefits of the RCSLT membership scheme and the brief asked for a map or Snakes & Ladders inspired board game. They wanted to show how becoming a member could help you ‘climb the ladder to success’ and avoid pitfalls.